A quick view of the most influential metrics in Beckenham Subdivision-Novi Michigan. Beckenham Subdivision in Novi Michigan is one of the nicer subdivisions in Novi, Michigan, Beckenham Subdivision in Novi Michigan has approximately 61 homes. The homes at Beckenham Subdivision in Novi were built during the years of 1991 -1999. The homes are mostly Colonial and Cape Cod style. Most of the homes have brick exteriors, 3 & 3+ car garages, 3-4-5 bedrooms, 2 + bathrooms, and basements (some walkout). Square footage of the homes in Beckenham subdivision range from 3400 - 5200 square ft. The school district is Northville Schools. The location of the subdivision is between 9 and 10 mile roads and between Beck and Ridge Roads. Beckenham Subdivision homes for sale are located 5.8 miles south of I-96 entrance. It is 4.9 miles southwest of Novi Town Center. 3.2 miles south is downtown Northville. Novi Civic Center is located 3 miles northeast. Novi Civic Center is the home of government offices in the city of Novi including the offices of the city clerk, city manager, city treasurer and community development. View our selection of available properties in the Beckenham Subdivision-Novi Michigan area. Check out the latest demographic information available for Beckenham Subdivision-Novi Michigan. Learn more about schools near Beckenham Subdivision-Novi Michigan complete with ratings and contact information. 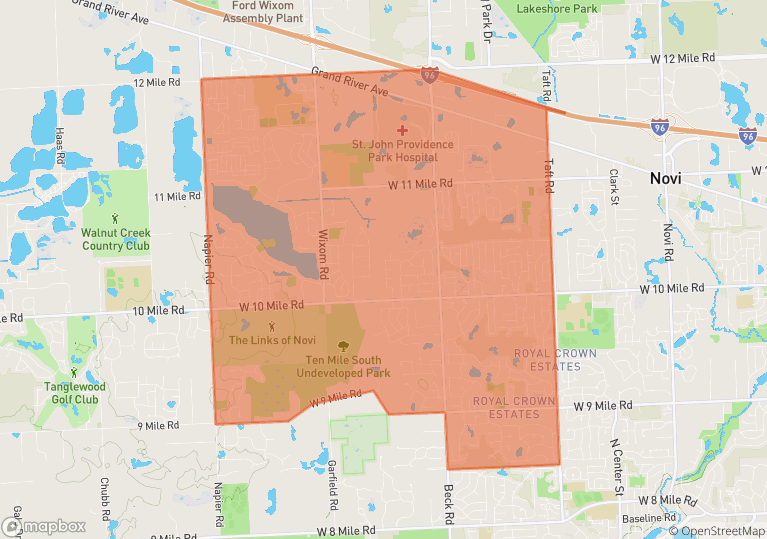 Browse through the top rated businesses in the most popular categories Beckenham Subdivision-Novi Michigan has to offer.